Associated Women's Healthcare (Plano) - Book Appointment Online! Please Note: After your appointment is confirmed we will be in touch via email/ phone to confirm your visit appointment details. If you need to reschedule or cancel an appointment, you must notify us at least 24 hours in advance to avoid a $75 fee. 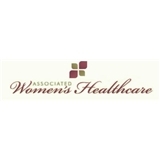 Associated Women’s Healthcare is an all female Obstetrics and Gynecology practice in Plano, Texas. Our office is conveniently located on the campus of the The Medical Center of Plano in Professional Building I. We specialize in routine and high-risk obstetric care including convenient ultrasound services in our office with our new state of the art 3D/4D sono machine. From annual exams and cancer screening to minimally invasive robotic assisted surgery, we can take care of all of your healthcare needs. Same day appointments are available. Let our physicians and dedicated staff members take care of you in a warm and professional environment. Dr. Evans is and has always been my favorite doctor. She’s efficient, personable, patient and kind. No matter how many questions I have, she’s ready to answer each of them with a smile. She makes me look forward to an appointment that most women don’t look forward to!